Today’s blog features the town of Verona, Wisconsin. This lovely community is located just one mile south of Madison and 30 minutes from the Dane County airport. Verona offers an incredible quality of life, is family friendly, and quickly growing. 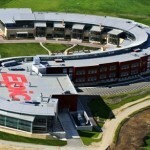 Verona's growth is due, in large part, to the fact that it is houses the international headquarters of Epic, a world leader in health care software technology. 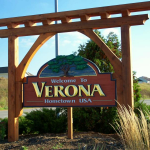 Verona, WI is home to a diverse population of nearly 11,000 residents. It boasts numerous parks, recreational opportunities, cultural offerings, and a variety of unique neighborhoods. It is home to the excellent Verona School District, one of the top ranking public school systems in the state. Whether you're interested in walking and biking trails, city parks, cosmopolitan atmosphere, or activities for children, we at Ryan Koch Homes will design a targeted home search to meet all of your needs. Verona also has a thriving business community. 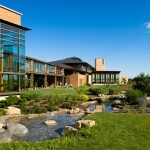 The largest of these businesses is Epic Systems. With nearly 6000 employees, it is the second largest employer in all of Dane County. In addition to experienced professionals who relocate for positions at Epic, the organization hires many young people who may be interested in purchasing a first home. As a first time home buyer, you can feel confident putting your trust in Ryan Koch Homes to guide you through the complex process and keep you informed and updated every step of the way. Please reference our web page dedicated to first-time home and condo buyers. The experienced home buyer will appreciate our comprehensive home search tools and Ryan’s expertise regarding the local housing market. There are numerous homes available for purchase near Epic. With new home construction, condominium opportunities, and mature neighborhoods, Verona appeals to nearly every home buyer! If you are relocating to the area, looking to upgrade your home, or make your first home or condo purchase, Ryan Koch Homes is here to make your transition easy and successful! Please contact Ryan to schedule a consultation, or CLICK HERE to begin an online home search in Verona, Wisconsin and the surrounding areas.